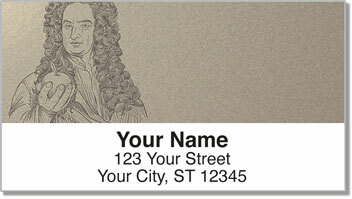 The scientists featured on this unique set of return address labels transformed our lives by thinking differently. Their influential ideas changed the way we view not only our world, but the entire universe in which we live. From Albert Einstein and Charles Darwin to Isaac Newton and Galileo, some of history's most renowned intellectual are celebrated on this design. 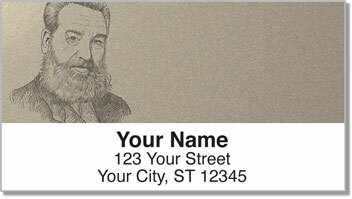 These labels are a unique way to efficiently prepare letters and packages for the mail. Just peel and stick instead of writing out your address on every envelope. You don't have to be a genius to realize that's a smart move! 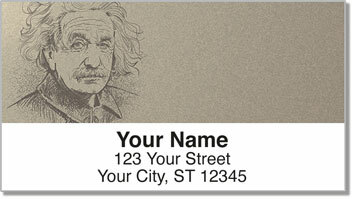 Get your own Famous Scientist Address Labels now! 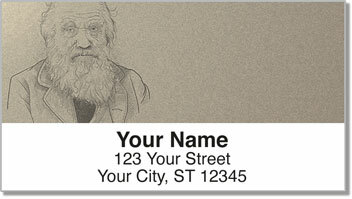 This original style can also be ordered as matching personal checks.